The craft beer industry in the United States has been growing as microbreweries experiment with all kinds of ingredients to create innovative flavors. According to the Brewers Association craft brewer sales continued to grow at a rate of 5% by volume in 2017, reaching 12.7% of the U.S. beer market by volume. Craft production grew the most for microbreweries which account for 23% of the $111.4 billion U.S. beer market. 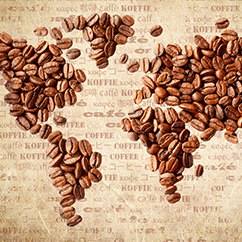 Coffee is a popular ingredient in several styles of beer brewing such as stouts and porters and even brown ales. With more than 6,300 breweries operating during the year in the U.S. it’s hard to recognize all the best coffee inspired brews. Check out our top ten list of Florida based craft brewers who have earned bragging rights in the coffee beer category. 1. 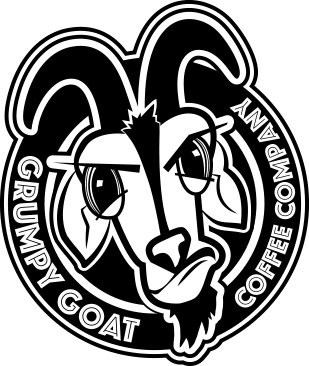 Grumpy Goat Coffee is a featured ingredient in one award winning Florida beer. 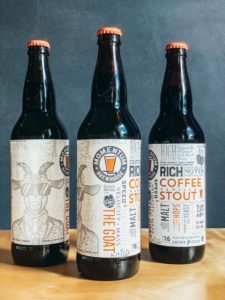 Specifically, the Grumpy Goat Ethiopian dark roast lends its notes to The Goat, a stout created by Momentum Brewery in Bonita Springs, Florida. This collaboration earned a silver medal (among 16 entries) at the 2019 Brewer’s Ball and Best Florida Beer (BFB) competition (coffee stout/porter division) held in Tampa, Florida. The Ethiopian coffee beans are harvested from the famed Yirgacheffe region and are rated by professional cuppers at 86 points. Their rich, intense jasmine and toffee flavor give The Goat beer a unique, pleasant taste that finishes nicely. 2. Angry Chair Brewing in Tampa, Florida makes Dulce De Pepe, a coffee stout style beer, in collaboration with Civil Society Brewing in Jupiter, Florida. This teamwork has resulted in one of the highest rated in the world according to Untappd, a mobile app for social sharing amongst beer fans. This highly rated beer has a coffee flavor blended with the smooth sweetness of chocolate and caramel. More than 1,100 Untappd reviews have resulted in a 4.3 / 5.0 rating. 3. Brew Bus Brewing earned a gold medal for its Gong Show at the 2019 Brewer’s Ball and Best Florida Beer (BFB) competition in the coffee stout/porter division. This Vietnamese-style coffee beer is a smooth, tasty brew. Beer enthusiasts in the Tampa area should seek this one out. 4 & 5. Funky Buddha Brewery in Oakland Park, Florida has a duo of the most highly rated coffee porters globally. Both sport a 6.4% ABV and 4.3 / 5.0 rating on Untappd with more than 30,000 reviews. Their Maple Bacon Coffee Porter was the 2016 gold medal winner of the World Beer CupSM (specialty beer division). Its creamy mouth feel and layers of sweet malt, coffee and salted chocolate make it sound luxurious. Meanwhile, Last Snow is a coconut and coffee porter option. 6. All the way across the Florida peninsula on the Gulf coast in Fort Myers is Bury Me Brewing. This small batch craft brewer features a very popular coffee coconut pairing called Hell Bound. The American brown ale is rated 4.2 / 5.0 by Untappd users. Look out for its notes of chocolate and honey. 7. Whiskey Jitters SB by Side Door Brewing Co. took the bronze medal at the 2019 Brewer’s Ball and Best Florida Beer (BFB) competition in the coffee stout/porter division. Besides the whiskey and coffee flavor, expect your tongue to pick up Kahlua, caramel, and vanilla flavors too. 9. Brew Hub earned the gold medal for its coffee beer, Matte Black at the BFB event. This gem is the product of a partnership between Brew Hub & Concord Coffee in Lakeland. The German black lager (aka Schwarzbier) features coffee from Guatemalan beans. The cold brew process is used to protect the subtle flavors. This results in a rich but smooth, velvety experience. One of the newest Florida brew pubs on the scene is Eight-Foot Brewing located in Cape Coral. “Black, viscous and strong,” is how they describe their Russian Imperial Stout. It warms you up during Florida’s harsh winters (giggle) with its strong coffee flavor and bitter chocolate taste.